However, I was received with such welcome at the Coaching Network Event, North West UK on the 3rd February 2018 that my initial anxieties quickly melted away and I was able to partake in one of the most organised, informative and enjoyable workshops I have ever attended. As a PhD student at the University College London for the past few years, I have undertaken a number of informal mentoring roles for other students, and in my previous roles for the local Wildlife Trust and Merseyside BioBank LRC I have had the responsibility of looking after volunteers. I have always been conscious that when someone is giving their own time for free to assist an organisation, there should be a positive benefit for the volunteer also. That is why I always took time to understand the needs and desires of volunteers and had regular updates with them to check that their expectations were being met. I have always thoroughly enjoyed this part of my work and studies and therefore as I come towards the end of my post-graduate research studies I’ve determined to explore this skill-set and area more thoroughly. Having had a brief conversation with Amy Southern earlier in the week I was delighted to discover that there was an upcoming networking event this upcoming weekend just down the road from where I live and so signed up immediately. It seemed to be almost fate. And in this instance ‘fate’ did not let me down. The north-west network event was the perfect length of time; with both an opportunity to learn something new and socialise with a new group of people. In just one morning, I spoke to BSC staff, tutors, as well as coaches – both experienced and new and gained information on the BSC courses from both the viewpoint of the teacher and learner. There were even others attending the Network event for the first time themselves! 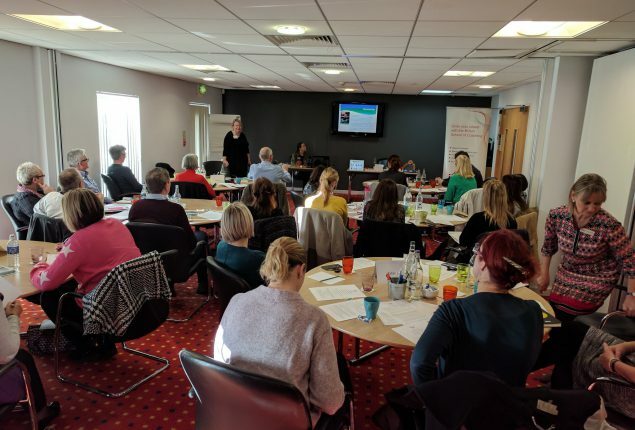 In the formal workshop sessions, we learnt about upcoming changes to legislation that would affect the administration side of coaching and were also given a fantastic introduction to neuroscience in relation to coaching and mentoring. If anyone is reading this and is considering getting in touch with the BSC to explore a career in coaching, I wouldn’t hesitate to recommend it! Finally, one of the main points that I took away from the neuroscience session was the importance of being able to recognise stress and the chemical dopamine and hormone cortisol involved in this. We then discussed practical techniques to increase oxytocin levels in your client if they arrived at a session in that state, perhaps ironically, late for example. I couldn’t help wondering that maybe being in a room full of people aware of biological/psychological relationships such as this, was the key to why I felt so welcomed!